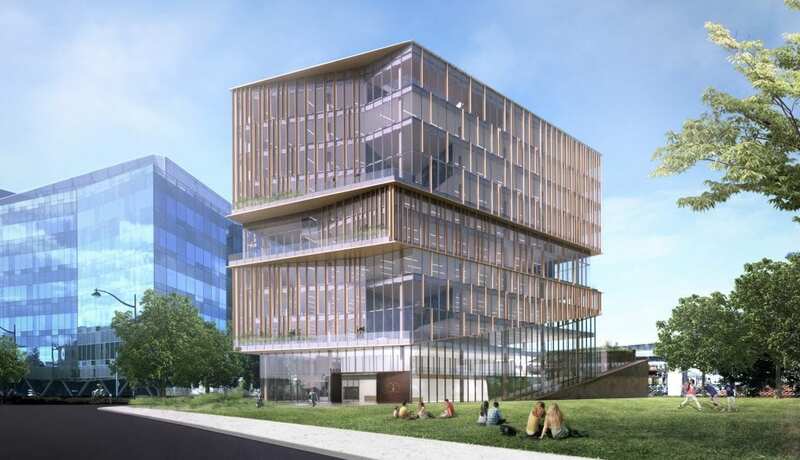 The new 11-story 228,572sf core and shell building will serve as ARE's new regional headquarters and will include biotech laboratories, office space and a West Coast version of ARE's LaunchLabs incubator. LaunchLabs provides move-in-ready office/laboratory space for early-stage companies, first-class support resources, shared equipment and services, creative amenities, and access to start-up capital through the ARE's Seed Capital Platform. 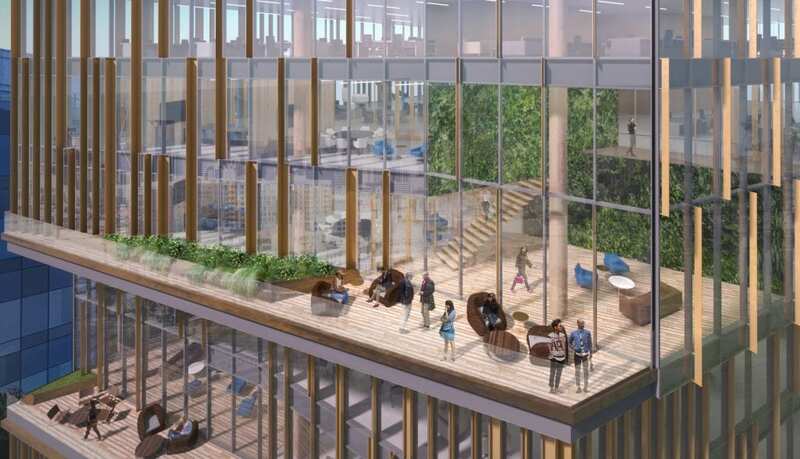 Additional features include an atrium, green roof, and outdoor terraces on the 3rd, 6th, and 8th floors. Targeting LEED Gold certification at minimum. The four-level, 110,000sf above grade parking garage consists of cast-in-place concrete and includes 317 parking stalls. 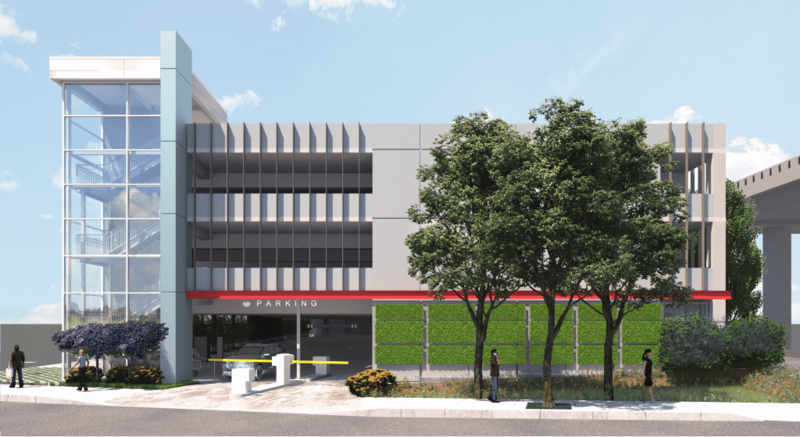 Additional features include a green wall that acts as a security screen, 25 electric vehicle charging spaces, dynamic signage informing users of parking availability at the entrance and on each floor, and roll-down gates for extra security.